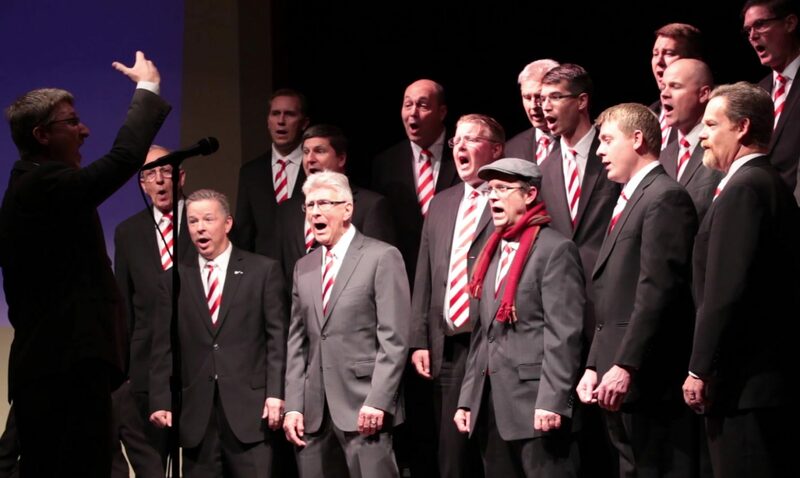 From North Front Sound’s humble beginnings in 2014 with 10 singers above a garage in Kaysville we have grown to around 30 active and dedicated members, and in 2018 we chartered as the Golden Spike Utah chapter of the Barbershop Harmony Society. Our goal is to have a lot of fun through musical excellence. We have enjoyed performing all over the Northern Wasatch Front for church groups, retirement communities, and corporate and private events. Though the chorus is centered in the Davis County area, members come from all over the place, spanning from Utah County to Cache County. You should come sing with us too. Our mission is to provide fun, uplifting experiences through music to ourselves, our fellow chorus members, our families, and our community. We will achieve this harmony by consistently striving for musical excellence, promoting fraternity, encouraging individual participation and commitment, fostering learning and growth, and inviting involvement in ways that are affordable, accessible, and considerate of the values of our members and community. Adam Scott: Director Adam holds a M.M. in choral conducting from Oklahoma State University and a B.A. in music composition from Utah State University. 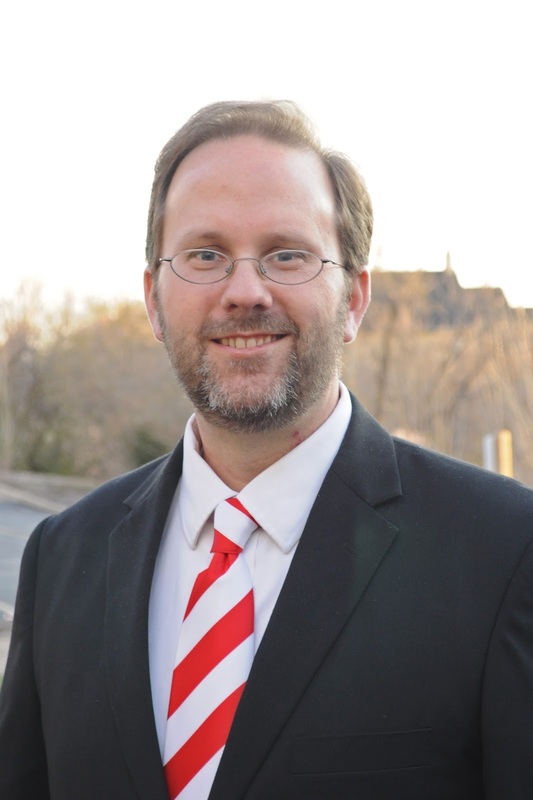 He worked previously as music educator and editor of music publications for the Barbershop Harmony Society and currently serves as the VP of Music and Performance for the Rocky Mountain District of the BHS. He is certified with the BHS as a judge in the Music category and is a long-time faculty member of Harmony University. Dean Davidson: President Dean holds a BS of Electrical Engineering from the University of Utah and is currently the Director of Engineering for ABC4 TV. 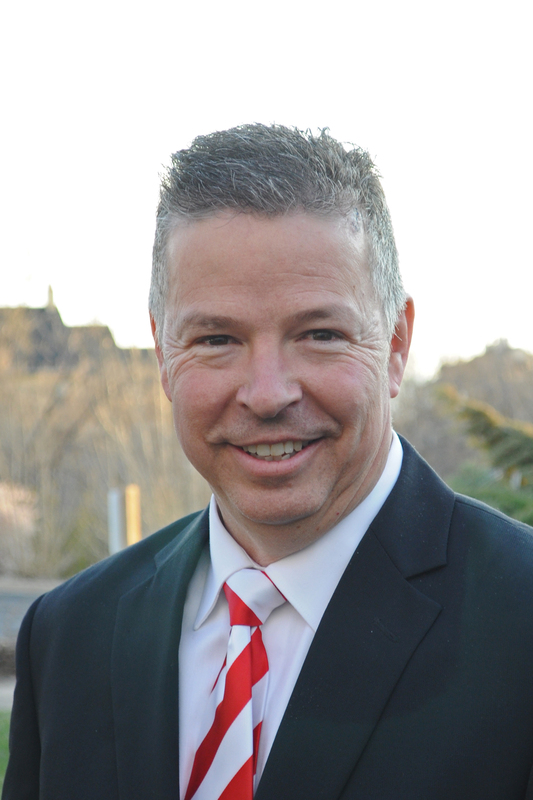 He also serves on the board of engineers for DTV Utah and has filled broadcast TV chief engineer positions in Illinois, Tennessee, Massachusetts, and Texas. While in rural Illinois, he got together with three friends and sang in a production of the Music Man, which got him hooked on barbershop. 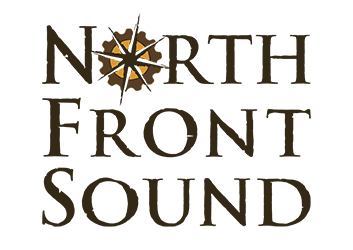 He was looking to form a group to sing when he found North Front Sound in 2016. He joined the Barbershop Harmony Society in 2018 with the original charter of the Golden Spike Chapter. He currently sings Bass in the Four Tunesmen quartet and competed in the 2018 RMD quartet contest. He and his wife, Annette, (who also loves barbershop) have seven children and live in Kaysville, Utah. Scott Anderson: Co-Founder, Music VP Scott has an Associates Degree with an emphasis is composition from the College of Eastern Utah and a BA from Utah State University. 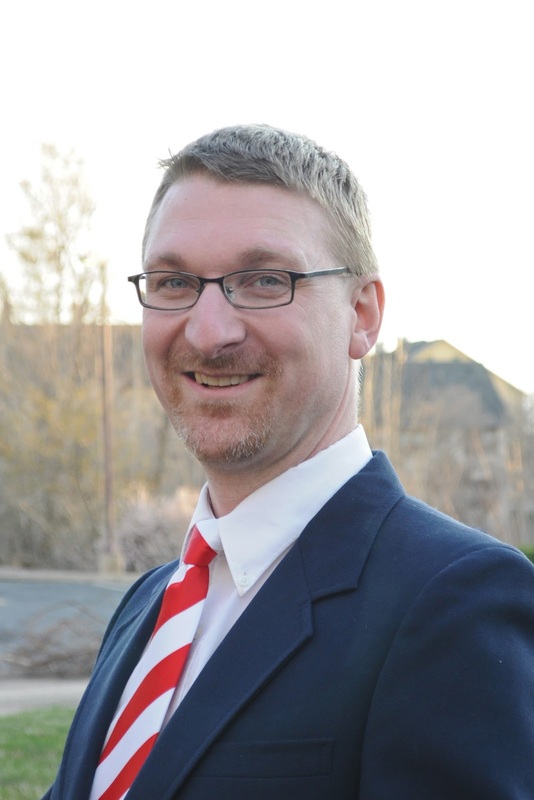 He serves as the VP of Chapter Support and Leadership Training for the Rocky Mountain District of the Barbershop Harmony Society. He produces custom vocal learning tracks for quartets and choruses as the proprietor of OnQTracks.com. Scott has always been a fan of barbershop. He played Jacey Squires in two productions of The Music Man. He first joined the Barbershop Harmony Society with the Kentuckians Chorus (tenor), and has also had the pleasure of singing briefly with The Southern Gateway Chorus (baritone), The Kentucky Vocal Union (lead), and The Saltaires (lead). He sang tenor with the 2012 Cardinal District Novice Quartet Champions, Vintage Airstream and with 2017 Rocky Mountain District finalist quartet Bonneville Flatts. He was honored to be awarded Harmony University’s Earl Moon scholarship in 2018. 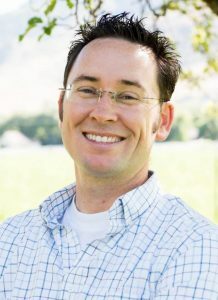 Nathan Bigler: Co-Founder, Former Director Nathan has a Masters degree in Music Theory from Northern Arizona University and a Bachelors degree in music from BYU. He sang with BYU Men’s Chorus, BYU Concert Choir, and Shrine of the Ages choir at NAU. He has many years of teaching experience, both private and in the classroom. Nathan has taught high school choir in Arizona, and worked as adjunct faculty at Arizona Western College in Yuma where he served as Assistant Director and Accompanist for the Chamber Singers and the Yuma Youth Choir. Nathan is a published composer, and his compositions and arrangements have been performed by high school and college groups across the country, including at Carnegie Hall. He has participated as an actor, accompanist, and music director in many theatrical productions. Alan Edwards: Co-Founder, Former Director Alan is a lawyer, author, and barbershop aficionado. His comedy quartet, the 4 Hims, has entertained audiences all over Utah for many years and competed in the Barbershop Harmony Society’s Rocky Mountain District quartet contest. Alan holds a J.D. from Duke University School of Law. He previously served with distinction for two years as the director of North Front Sound.